Now that you have your transplant, regular exercise is one of the keys to putting you on the road to good health. It is important to have a daily exercise routine, to build up muscles weakened by a long period of illness. The exercise programme should be aiming to slowly increase the level of exercise. Walking is a good way to start exercising and hobbies such as tennis and jogging can be taken up, as early as three months, after your transplant. However, contact sports should be avoided. Exercise has a positive effect on blood pressure, cholesterol levels, and the functioning of the heart and lungs, even if you don't lose weight.Exercise can also improve your psychological health and can be achieved with low to moderate levels of physical activity. 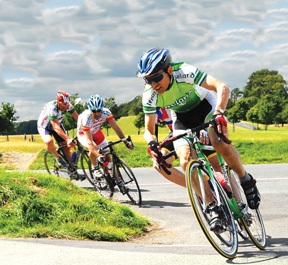 The Irish Kidney Association promotes an active year-round sports programme, for transplant recipients and people on dialysis. The programme is open to all levels of ability and interest, with an emphasis on participation and enjoyment. Regular open sessions are held, with family and friends always welcome. The Association organises national teams for events such as the World Transplant Games (biennial – odd years) and the European Transplant & Dialysis Games (biennial – even years). The team is open to all abilities as the Transplant & Dialysis Games experience is worthwhile and about so much more than sport! Why not contact the IKA to find out more and get involved in a new wonderful family? 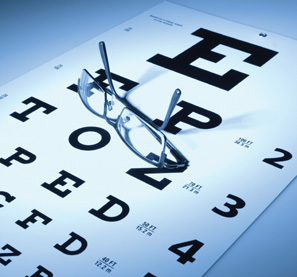 It is common to experience changes in your vision, for the first few weeks, after your transplant. It is recommended that you wait about six months for your vision to stabilise before considering a change in your glasses. Your transplant medications may increase your risk of developing cataracts, glaucoma and eye infections. Do visit an ophthalmologist at least once a year. Be certain to inform them that you are taking immunosuppressive medications. If you were employed up to the time of your transplant, you should be able to return to work, within three months, after your surgery. It really depends upon you and your job — how well you feel, and what are the physical demands of your work. If your job requires heavy lifting, it may require more time. If your job is not physically difficult, it can be sooner. The important thing is to be realistic. Pushing yourself too soon, can lead to problems that would delay your return to a full work schedule. If you have not worked for some time, due to your illness, do speak to your transplant nurse or patient care co-ordinator, as there may be training or employment opportunities for you in your community. 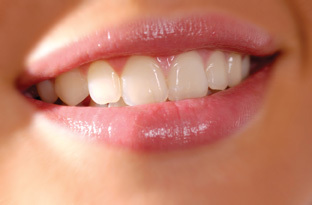 Good mouth and dental care are essential to prevent infections after your transplant. It is best to wait about three months after your transplant, or if you have recently been treated for a rejection episode, before you have a routine dental check-up, including cleaning. Brush and floss your teeth twice a day. Be gentle when flossing, as this can irritate your gums and cause bleeding. A waxed floss slides more easily between the teeth. Use fluoride toothpaste and a soft nylon or electric toothbrush. You should see a dentist every six months. Be certain that your dentist knows that you are a transplant patient and taking immunosuppressive drugs. You will need to have antibiotics prescribed before any dental work is done, including cleanings. Smoking tobacco, marijuana or using any unprescribed drugs is harmful to everyone but especially so for transplant patients. 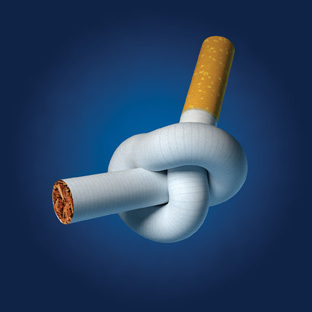 Smoking damages the lungs and puts you at greater risks of contracting lung infections and cancer. Your transplant team will assist you to give up smoking. Any form of so-called ‘recreational drugs’, such as cocaine, speed or ecstasy can have a serious negative effect on your body and mind. These drugs can also interfere with your medication If you have normal liver function, moderate amounts of alcohol should not cause you any problems. Some of your medications can reduce liver function so it is best to limit the amount of alcohol you drink. Alcohol can also cause dehydration and depression. Some people may think — “You got a transplant, a new lease on life. Be happy. Don't worry!” But, in reality, the time after transplantation can be emotionally difficult for many patients. First of all, some of the medications can cause mood swings, sleep disturbances, or even depression. These kinds of problems are even more troubling because you cannot understand why you feel the way you do. If you experience any of these effects, talk to your doctor or transplant nurse. And, remember, never change your dose of medications without permission from your doctor. Very Important!! If you are feeling depressed, do not take any medications or herbal preparations without medical advice. St. John's Wort, for example, is known to interact with immunosuppresive medications. Transplant patients often have concerns about changes in relationships, work, finances, staying healthy, side-effects of medication, and the possibility of rejection, which may cause stress, anxiety, fear or sadness. Your transplant team is there to help you. Talk to them. Tell them when you have a problem. You can also avail of the renal nurse counselling service available at Beaumont Hospital. Always take your medication as prescribed. Keep track of your serum Creatinine. Take regular exercise and do not become overweight. Monitor your skin for changes and skin lesions. Women should have a smear test annually. Women more that 50 years should have a mammogram every 3 years. Keep your cholesterol under 5. Get the flu vaccine in September from your GP. Get the pneumococcal vaccine from your GP every 5 years. Many transplant recipients ask how they might acknowledge the gift of their new donor organ. There is no right or wrong time, and no right or wrong way to say ‘thank you’ to your donor family. Donor families receive a letter from the transplant co-ordinators, within a month of their loved-one's death, thanking them for consenting to organ donation. Donor families are not given any information which may identify you. We recommend that you allow some time to elapse, after your discharge, before expressing your thanks to the donor family. Your 'thank you' may be written, at any time, after your transplant. It will always be greatly appreciated by your donor family. 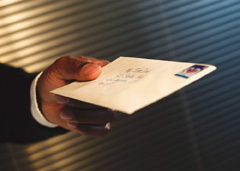 The letter should not identify you. It is preferable that you do not date the letter or card as it may be some time before it may be forwarded to the family. Please do not seal the envelope as the Transplant Co-ordinators will need to check the letter, for confidentiality purposes,before passing it on. whether you are male or female and some family details. Most people describe how their lifestyle was prior to the transplant, and describe their contrasting quality of life since receiving their transplant. Everyone expresses their thanks to donor families in their own way. In nearly all cases, transplant patients say it is the most difficult letter that they have ever written and that they had to rewrite it, many times, before getting it right. You can give this letter or card to your transplant nurse or transplant co-ordinators. This service is hosted every year, in the Autumn, by the Irish Kidney Association (IKA). Many kidney transplant recipients and, indeed, other organ recipients, join with donor families, at this service, to remember the donors. It is a special way of expressing gratitude in an anonymous manner. Do view the IKA SUPPORT magazine for more details.